In my professional opinion, lecturing is a compilation of instructing students to understand a topic or concept and the ability to properly explain a topic with ease to students whom are less familiar with the topic. It takes practice to find what “type” of lecturing which is right for the students to receive the most out of the course. Lectures seem to have been given a “bum rap” because of the student’s perception of what a lecture is. When in fact, all topics have the potential of being exciting for all student-learning experiences. Traditional lecturing has strengths and weakness, which is one of the reasons I am always looking for ways to improve my course interaction and lecturing techniques for my students. Motivating my students is one of the most important aspects of teaching. Positive learning environments stimulate academic growth of a student. Obtaining new online learning technologies is a way for improving lecturing techniques and developing a well-rounded academic environment for my students. As a professor, I utilized the “Learning Studio” for course interaction, discussion, electronic handouts, academic journals, class chats and assignment submissions. Learning online takes patience, dedication, motivation and constant communication. Without these key elements the success of a student is next to impossible. Professors and instructors have to be engaged and ensure that the lectures are interactive as well as informative. Implementing “interactive” learning methods and other new technology advances provide students with high opportunities for success in all courses. After implementing the “Learning Studio” for all of my courses, my students are much more involved with the topics and are not afraid to ask questions or give an opinion during class. That was a part of my goal for implementing “interactive” lecture methods. I wanted my students to feel a sense of community and comfort with the topics being discussed. It has showed to be very effective in that student participation and communication has increased tremendously. When stimulating my students I use “blended” teaching methods. My students are heavily involved with the lectures. I make sure to have interactive questions for them to engage in the “Learning Studio.” I also make sure to have power point slides and direct “Live” Internet links to stimulate discussion among my students. The Socratic Methods are useful when teaching human resources and business management. The “Asking Instead of Telling” works especially when I want to have the class discussion on job structures and business ethics. The four dimensions/factors for successful lecturing are: Attention (A), Relevance (R), Confidence (C), and Satisfaction (S) are attributed to learning comprehension (Guven, 2009). The attention span of a student is directly effective how the student learns. Is the student not attentive in your class? Why not? The lecture may need more “Pizzazz.” The way to give some life to a lecture is to involve you students more with their interests of the topic, or implement more of your real life professional experience into it. This is where the online relevance comes into place. How relevant is the topic to current events? Is there a way to implement current events into the topic? There is always something going on in the news or related to the Saint Leo Core Values one could use to increase the relevance of the topic. While building up the knowledge base of the student, the confidence of the student will increase. Which will increase student satisfaction of the learning experience overall (Guven, 2009). The success of the student in an online program strongly depends on the interaction, creativeness and motivation of the student as does it for the professor/instructor. Online Journal Of Distance Education (TOJDE), 10(3), 217-246. 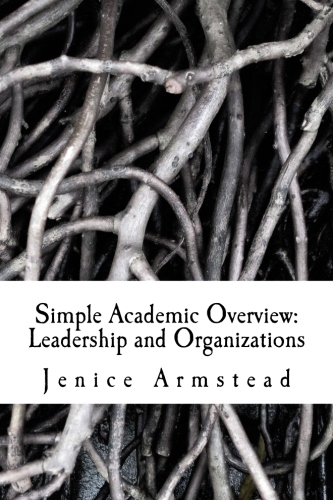 This book provides the understanding of the comparison and contrast of three theories of organizational leadership, including their core concepts, strengths, and limitations. Each theory helps an organization develop effective leaders for the 21st Century. Human resources professionals use insights from each theory to craft organizational policy. 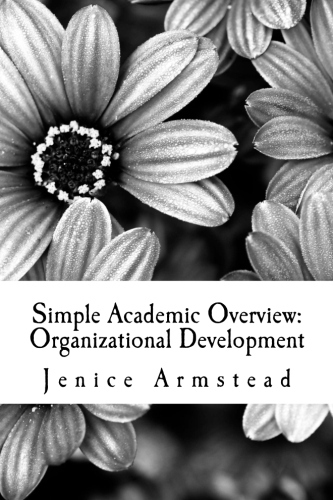 This book provides the understanding of the concepts of performance management is related to organizational development theory. Includes a description and critique of at least four key strategies of performance management. Human resource professionals are the point of contacts for explaining how to support organizational development through application of performance management strategies. The Lakeland Information Session was a huge success. 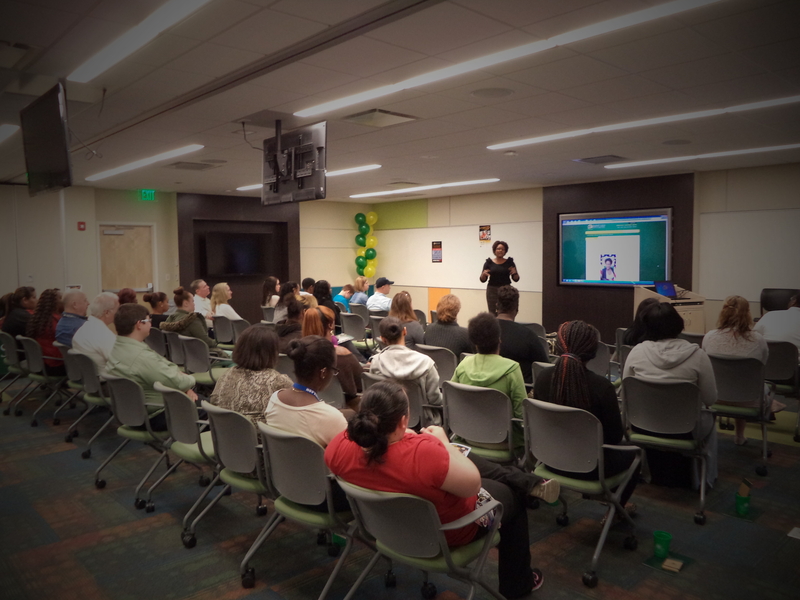 I spoke about how Saint Leo University has allowed me to not only follow my dreams, but also make them a reality. 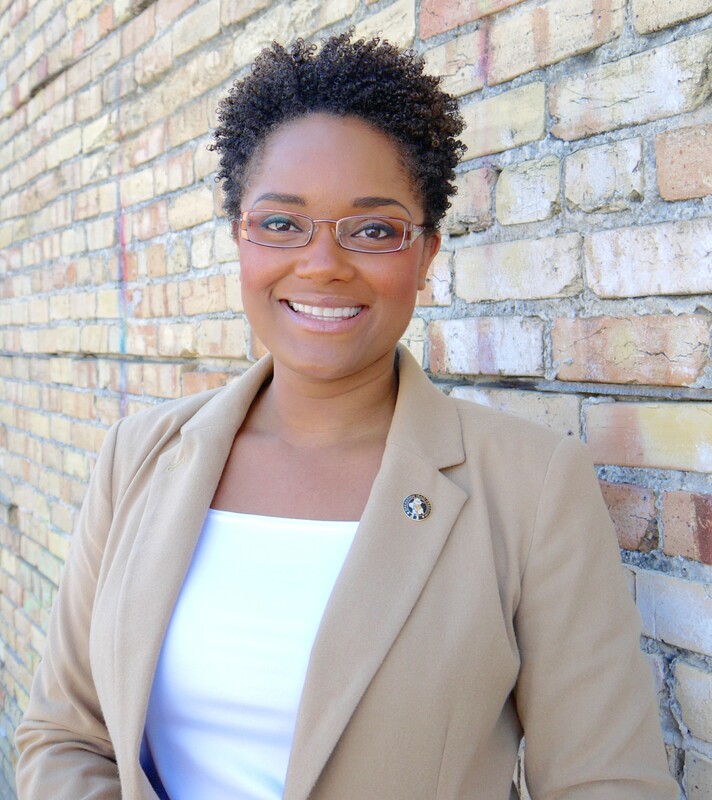 Earning my degrees (Associates, Bachelors and MBA in HR) from Saint Leo University has provided many professional opportunities, which without a degree would not be possible. I spoke about how I was able to stay focused on the goal of earning my degree(s) and how I turned several “failures” into life learning lessons. 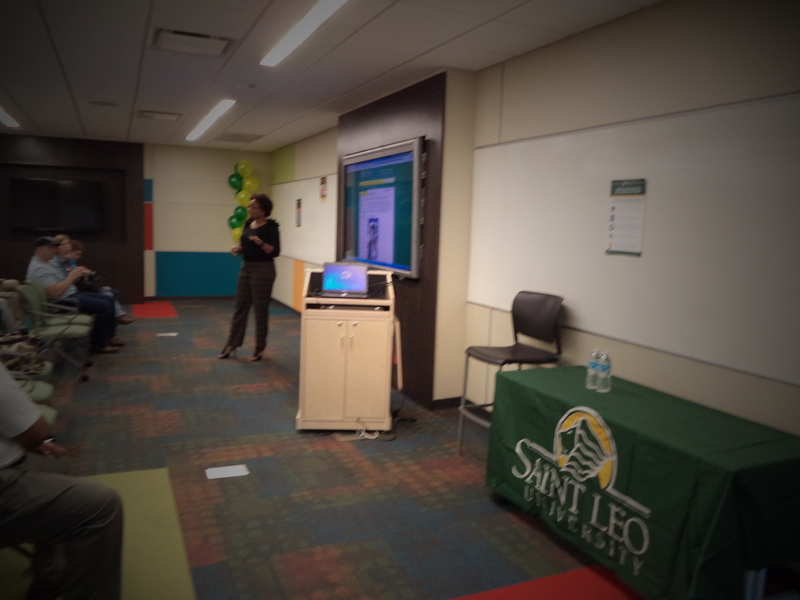 Do you want to learn more about Saint Leo University? What degree programs they offer? 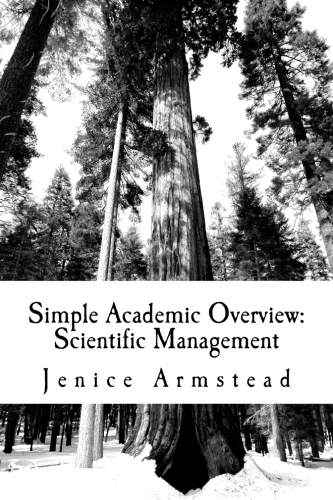 How you can start your academic career right? Well, come to the Saint Leo University, Lakeland Education Center “Information Session” on Wednesday, March 26 from 6pm – 8pm. I will be the Key Note Speaker on the importance of education in this job market and how goal setting has improved my professional value. It will not only be informative, but you will have a chance to meet some of the faculty and speak with us one-on-one. Jot down your questions and have them ready to ask. Alena White, the Center Director and Jimmy Surin, Assistant Director will both be in attendance to answer your questions about Saint Leo University. See you there, next Wednesday. The job market has changed; it has changed for the better in many ways. 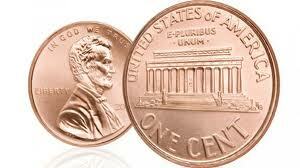 This economy has bounced back from one of the worst economic down falls of this century. The job market is flooded with new job seekers and excellent opportunities for the taking. The need for fresh talent is apparent; the need for new ideas is infectious. New graduates, new job seekers and new ways of understanding this new job market are more concentrated than ever before … these are all apart of the new equations of obtaining employment opportunities for the job seeker. The federal sector are hiring, let it be clear that the federal sector has created jobs and internships. There are a few things that job seekers must understand about obtaining employment in this federal sector job market. The federal sector is more organized than ever before. The federal sector has gone through a reform of implementing new job hiring practices. The federal sectors new job hiring practices include: the use of extensive interviews, panels of board members, personality tests, demonstration of work knowledge, skills, abilities and job experience. There are some great ways for job seekers to “stand out” from the competition, but first the job seekers needs to understand what some of the loop holes are when it comes to finding and applying for federal employment in this new job market. Do not be discouraged in this new job market. You are the human capital fabric of the economy. This new job market requires the creation and use of multiple resumes, live website links to electronic resumes, resume social media sites, job seekers to keep the information up to date at all times, and most of all for the job seekers to have a full understanding of what their “digital finger print” looks like. When I say “digital finger print” I mean, understanding what public information is available for potential employers to search and find on job seekers via the internet. It is good practice to “Google” or look up oneself on the internet to see what information is publicly available for all to view. Just as one would conduct a “Credit Score” clean up, a “digital finger print” is just as important to conduct on a quarterly basis. Federal government positions are not as difficult to apply for as most believe they are. Many times there are document requirements, time requirements, and pre-qualifications to read carefully before job seekers can complete the federal government job application. Most federal government job announcements are conducted completely online at www.usajobs.gov. A computer and Internet connection are two initial requirements of the federal hiring process. This may sound like a lot, but in fact once you read this book you will realize that it sounds a lot scarier than it is to complete. The federal sector job hunting experience is all about organization and attention to detail. You have come to the right place to get your 10 Tips for Applying for Government Job announcements. The federal hiring process is all about due process, time requirements, deadlines and required documents. One of the main keys is to read the entire job announcement applying for. It is a good practice to print the entire job announcement out and use a highlighter to ensure all of the “T’s” are crossed and “I’s” are dotted. In the government hiring process, entire applications can be completely removed or trashed if the application package is not completed by the candidate, by the deadline. There are not “if, ands or buts,” hiring managers are not legally required to extend deadlines unless there is a viable reason to do so. In most cases, only disabled personnel have this benefit. In this case, the disabled candidate must provide documentation for the disability in receiving an application extension. These are only a few of the topics that are covered in 10 Tips for Applying for Government Jobs. This book was created for the job seeker to keep this book on hand to organize, keep track of and provide a greater understanding of the government hiring practice. 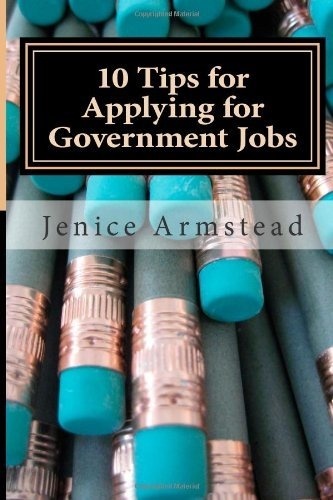 This book will start you off in the right direction with giving the job seeker 10 tips for applying for federal government job announcements and positions. Training and education are core elements of the job force in this age. Without training and education work experience will only get you so far. With training, education and experience you will practically be handed more opportunities than you will know what to do with. But, inflating education and training accomplishments on your resume will hurt you in the long run. Be honest and factual with what you have been trained on and what you need training in. Some questions you will be asked: What training have you had other than course in grade school or college? Many applicants are finding that they need additional education and training, but experience goes hand and hand together with education and training. With this question you need to elaborate on any certifications you many have as well as any courses online you have taken as well. Online courses are not frowned on as they once were in the past; in fact more companies realize that employees are more loyal the more education they have. Interviewers will also ask you: What workshops have you attended? This is a open-ended question that is targeted toward what your specialty is. If you are human resources professional, they will want to know if you have been to any staffing or employee relations workshops, if you are information technology professional they will want to know if you have been to any fiber optic, customer service or trouble shooting workshops. If you haven’t been to any workshops, state that and also state your interest in developing your skills for the benefit of the company. One of the last questions you WILL be asked is: Do you have any skills that are not listed on your resume or in your application? This is a great way for you to “talk yourself up” this means that you have an opportunity to talk as much about you and your skills and how unique you are. This is your time to shine, so do put every single detail on your resume because it won’t give you as much justice as you would do talking about your own self. What is “Job Classification” you ask? I am glad you did. Job classification & qualifications are the “well oiled engines” that make a human resources department run smoothly. Job classification is how job descriptions are created for organizations employees. Job classification determines employee job responsibilities, duties, pay grade level and other important aspects of employee rights. Many employees are unaware of how job descriptions are created. Simply put, job descriptions are created by using job classifications. Job classifications are ever changing and developing with the needs of an organization. Job classification is the outline for how and what a job description will state for employee development and promotion. Job or position classification standards include a plethora of information such as determining employee work schedule, Fair Labor Standards Act information, grade/wage promotion ability and exempt or non-exempt position status. In all, job classification is a full time, skilled ability that takes many years to perfect. With economy changes, job classification changes for organizational structure. Proofreading can be dry and mundane, but when you have some simple steps for proofreading it has the tendency to almost be fun. Truth be told, proofreading is not just for writing, it can be used for anything from note taking to daily sticky notes. You don’t know how many things have been taken out of context just because I didn’t take the time to do a quick proofread of a note I left for someone. The first step toward great proof reading is to use a checklist. A checklist allows for a quick outline of the important things that you want to convey. It is used much like one would use an “outline” to start writing or developing a plan. It seems like over doing it, but believe me a checklist is vital for developing great proofreading skills. The second step is to fact check, too many times people accidentally plagiarize. This can cause some serious creditably issues. Make sure to check your work and fact check every thing you write. The third step toward great proofreading is to spell-check. There is no reason not to spell-check in this day of advanced technology; there are dictionaries and thesauruses everywhere. You can easily down load an “app for that” and make sure to use it each time you proofread. A step that has saved me more than once is the fourth proofreading step, read your writings aloud. Reading aloud is different than reading something to yourself. Often, if you read silently you will miss content, context, tenses or similar words such as their, there, and they’re. 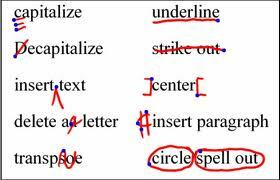 That brings us to the fifth step toward great proofreading, focusing on one line at a time. This one goes along with reading aloud. While reading aloud you can take the time to focus on one line at a time. Invest yourself in each line by developing powerful sentence structure. Attention to formatting is the sixth proofreading step. Formatting can be difficult, remember to utilize formatting options online for easier understanding of what is best for your writings. Which brings us to proofreading step seven, which is start all over again and proofread your edits. If you take the time to embrace each and every step, your proofreading skills will improve. Thank you to Saint Leo University for the feature in the “Continuing Education Updates” newsletter. I have to say, I was super surprised and excited all at the same time. Enjoy this quick article about my Saint Leo University experience. Here is another reminder of why we do what we do. Online degrees have come a long way from your basic degree, now there are a variety of different options for degree programs with excellent online universities. Now, with technology you can earn your degree in more than one way. Online degrees are becoming the new way for people to go to school and still work. Going to school online is a great way to “get ahead” in your career and to make yourself more value and stay competitive. Here are some tips for you to start or continue to earn your degree online. There are tons of online schools. Some schools have special “Military scholarships” for active and veteran military personnel. The Montgomery GI Bill and Post September 9/11 educational programs allow for all military personnel serving during that time also received 9/11 educational benefits. Another excellent educational program for veteran graduate students is the Yellow Ribbon Program. These benefits are transferable to other military dependents from any active duty or veteran military personnel. Many online schools can offer up to 50% military scholarships to all undergraduate degree programs and a 20% military scholarship to all graduate degree programs. There are time stipulations on utilizing your military educational benefits. Make sure to check the termination of time requires before you begin a program. Many online schools have regional and national accreditations. It is important to know whom your school is accredited through in case you want to transfer or get a job in a different state than the school you are attending. Education comes in all arrays of quality. We all know that education is vital in today’s job market and education is important for many different reasons. The fact is you don’t have to have a degree to be considered educated, but you do have to have proof that you completed the educational program that which you are claiming you acquired the knowledge from. During interviews selecting officials will want to know: What courses you liked most while attending school? and What courses did you least like? This question is steered toward the selecting official finding out more about you and what types of interests you have. This could be a mode of examining your personality traits or it could mean more. It all depends on what type of job you are interviewing for. The next question of: Why did you choose your course of study? This question is pretty self explanatory, in the fact that the selecting official wants to know why you choose the course of study that you did. This question is asked with the intentions of understanding the applicant’s passion. Be honest and be short. Don’t give a long answer; the selecting official doesn’t want to know your whole life story. Keep it short and sweet unless they ask additional questions, if more questions are asked in this regard – make is short and sweet. The selecting official wants to know if you prepared for the interview and what you did to prepare. So they will ask you to discuss your background in terms of how it has prepared you for the job you are applying. This is a question of character and needs to be explained in general detail. For example, if you were applying for a information technician position you would discuss your certifications and repeat your answer of your educational background this would be of great help. Talk about what you desired to be as a young adult and elaborate job history details – even if you have already discussed your job history – repeat yourself. Selecting officials love it when you repeat facts, because it reassures them you are telling the truth. REMEMBER: BE HONEST. You will be selected over another candidate who wasn’t as truthful. The truth will allow you to shine and become employed faster than not being honest at all.